As a crate digger back in the 1990s, with a pretty deep interest in Bob Dylan recordings, there were bootlegs and there were bootlegs and then there was “Blood On The Tapes“. I clearly recall first reading about this pirate release, which was recorded in New York in 1974, in an article in the Irish Times – in which it was cast as buried treasure from a golden period in Dylan’s songwriting. The 11 recordings were solo first drafts of songs that Dylan would later re-record in Minneapolis with a band and which would make up his famous “Blood On The Tracks”. The New York songs were rawer and closer than the re-made versions, most of which went onto the official release of Dylan’s famed marriage break-up album. I also recall travelling from Athlone, where I was working as a reporter on a local paper, to Dublin on a 1990s midsummer Saturday afternoon, solely to visit a basement record shop on Wicklow Street and pick up my £5 cassette of the bootleg. This led to a probably-not-wholly-healthy period of listening to and learning to play all the songs, an activity which occupied most of the rest of that summer and probably didn’t leave me in the sunniest state of mind. I’ve kept the bootleg close to hand ever since – buying it on CD, pushing copies into the hands of friends, and generally regarding it as 40 minutes of peak Dylan. Last week’s news then, that the songwriter is now set to release an exhaustive haul of “Blood On The Tracks” outtakes, alternative versions and forgotten takes (essentially “Blood On The Tapes” on steroids), should be a cause of celebration. But it’s not. After my initial excitement at reading the news, my heart sank. A piece of esoteric musical history, a little-known-of Pandora’s box known only to the faithful, will now be cataloged, opened and exposed. The air of weird mystery that saw me spend weeks teasing out every nook of the recordings, learning every cadence and breath and bum note and cough, will evaporate. The New York recordings will still be great, but they will be buried amidst many others, and the wonder of the 11-song artifact that was “Blood On The Tapes” will be lost. Except to those of us who have the old cassette or CD, though, and who know just when those coughs and bum notes pop up. I’m past the stage of thinking that a record can change your life. I’ve spent hours, days, sometimes even weeks lost in certain albums. And for me, that’s enough. Any more – such as 18 discs of out-takes from one album – is too much, even if that album is Blonde On Blonde. But not for many Bob Dylan fans, a sector admittedly not known for taking half-measures. Next month Columbia Records will release The Cutting Edge: The Bootleg Series Volume 12, 5,000 copies of which will be packaged in a limited collector’s edition, comprising 379 tracks crammed onto those 18 compact discs. The ‘thin, wild mercury sound‘ has got a whole lot thicker. News of The Cutting Edge made me wonder just how much Bob Dylan any one person needs to hear in their life; it also helped me realise that I’m becoming a simpler type of fan – one who’s happy with the original records, thanks. I’ve been through my outlaw phase. The early days of bootlegs on eBay or, before that, Saturday afternoon visits to an old basement record store on Wicklow Street (whose name eludes me), which offered shelves of cassettes, all manner of live shows, outtakes and unreleased demos. 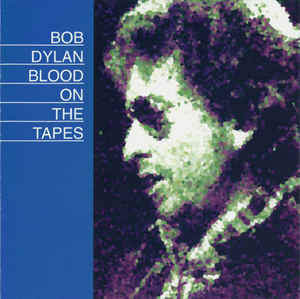 I still prize my Blood On The Tapes bootleg – the alternative Blood On The Tracks, cut by Dylan in New York with a stripped-down backing band shortly the later sessions used in the official release. And maybe one or two others. But there it ends. It’s years since I’ve hunted down a particular session and, as time has passed, much of the better stuff has been cleaned up and officially released anyway. The complete Witmark Demos, a bootleg passed to me with reverence by a college pal, was issued back in 2010. After a rush to the record store on the day of its release I returned home, slipped on disc one and waited to hear, down the decades, the coughing kid with the rough, golden touch I’d listened to 15 years earlier. It sounded like what it was – a demo of a young, talented kid, rushing through what he had. The silver thread was missing. Since then I’ve told l myself that I’ve changed – the younger man willing to spend hours listening to the same 1962 radio session over and over doesn’t have the time or the interest anymore. (That’s not to take from a powerful Death Of Emmett Till on the same recording). But then I put on the studio albums, and one in particular always delivers – Blonde On Blonde, the record that emerged from the 379 tracks that make up The Cutting Edge. Its 72 minutes brings much to mind – the Eason store on Church Street in Athlone, long gone, where I bought my first copy; the long, Guinness-and-chianti fuelled nights in college where it was a constant soundtrack; the many moments over the years when it’s come on, or come to mind. Different places, different times, different people – and always the same shambling opening line: “Well, they’ll stone you when you’re trying to be so good”. But it’s not a nostalgia trip. The album is as live an experience today as it was when I first heard or, or when Dylan first cut it, in a studio in Nashville almost half a century ago. And at its centre is a song I still can’t get my mind around, with lyrics which have haunted me down the years – heat pipes coughing, ghosts of electricity howling in the bones of a woman’s face, harmonicas playing skeleton keys and all-night girls riding the ‘D’ train. 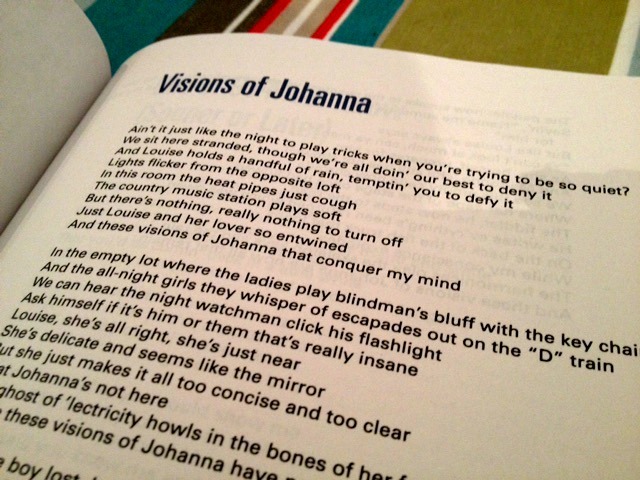 One version of Visions Of Johanna is enough for any man. 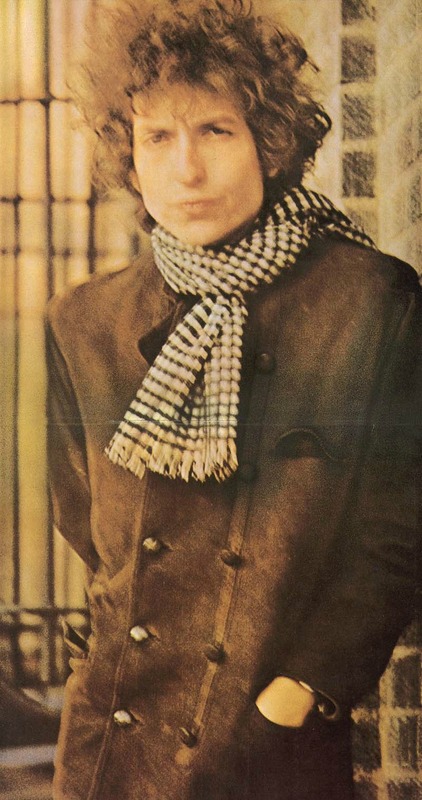 Blonde On Blonde hasn’t changed my life, it’s just been a constant part of it.